Lab Supply has a huge selection of specialized treats for animals with special needs including sugar-free treats for rabbits. 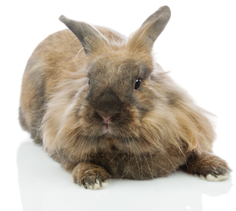 These banana-flavored treats are a great treat for rabbits that have specialized dietary restrictions. These treats have no sugar and no calories, so they can help keep an animals weight in control during testing and it can also help contribute to their psychological health as well. These treats are ideal for any rabbits in diabetic studies, or rabbits with caloric restrictions on their diets. If you would like to learn more about the sugar-free treats that we offer, please click here to view the product in our store. Also, if you have other animals with dietary restrictions, be sure to check out our full line of special needs treats. Here at Lab Supply, we are committed to making sure you find exactly what you are looking for. If you have any questions about these great sugar-free treats, then please click here to visit our contact page. We will be more than happy to answer any questions you may have.